The Obama administration is playing a very dangerous game with Russia, destabilizing the Ukraine, helping oust a Moscow-backed president from power to insert a pro-western puppet, then threatening Russia’s President Vladimir Putin when it becomes apparent that he may involve the Russian military. The Obama administration warned Russian President Vladimir Putin on Sunday not to react too aggressively to the fast-moving developments in Ukraine, where pro-Western demonstrators forced the nation’s Moscow-backed president from power over the weekend. National Security Adviser Susan E. Rice said the situation unfolding in Kiev “reflects the will of the Ukrainian people and the interests of the United States and Europe,” and that Russia would be making a “grave mistake” if it sends in military forces to try to reverse the developments – or to seize control of pro-Moscow eastern Ukraine. 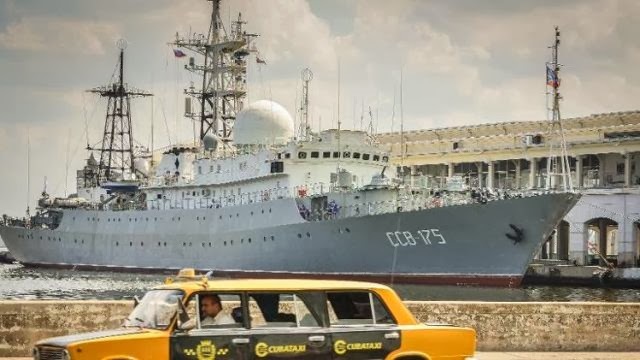 In response, a Russian spy ship, with electronic eavesdropping equipment and weaponry, including AK-630 rapid-fire cannons and surface-to-air missiles, parks itself within firing distance to the US, in Havana Cuba. 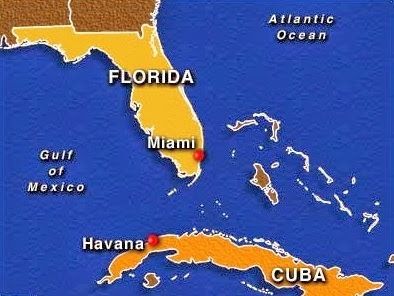 We already know from previous reports that Russian troops have trained on US soil for the first time, in 2012. Arrangements have been made to have Russians “help” in emergency situations on US soil, meaning they have to be close enough to be part of the first response teams and that is public knowledge. Consider how open our borders are and we truly have no idea how many private, covert operatives are in the US just waiting for orders should a war start between the US and Russia. We also do not know what their battle plans are and how they have changed after our interference and likely our help in destabilizing the Ukraine, as we did in Syria and Egypt. Will the Ukraine be the match that lights the powder keg just waiting to blow?